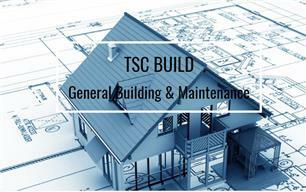 T S C Build - Driveways/Patios/Paths, Landscaper based in Wickham, Hampshire. We are a small, fully insured professional building company based in Wickham, Hampshire and have a combined total of over seventy years’ experience in the construction industry. Whatever your requirements, they will be achieved to the highest specifications. We’re here to provide you with a totally stress free and professional approach to achieve those finishing touches to make your vision a reality. Offering Free No Obligation Quotes give us a call to make your dream home come to life.